Could 2016 be the end of the world? 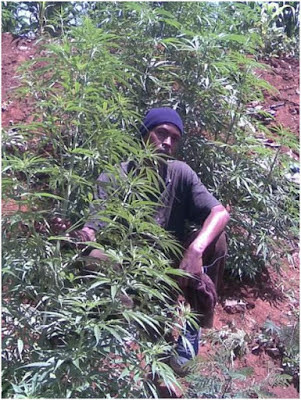 Wait till you see what this guy posted on social media without fear that the long arm of the law may catch up with him. 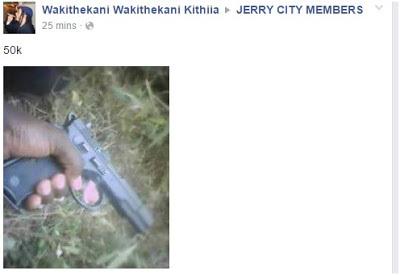 Well a youthful man took to social media to flaunt his pistol and claims to be selling it for Ksh 50000. 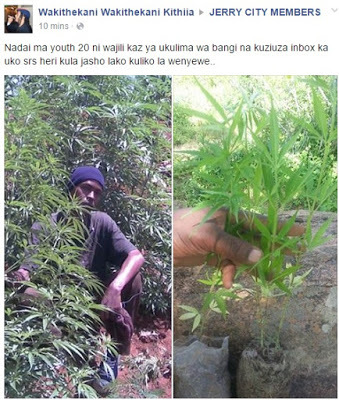 Not only that the lad continues to flaunt a plantation full of bhang and is asking for any jobless youth to join him in the illegal business of the drug.